We want to give a big kudos to those overlanders who have put their time and effort into writing inspiring books based on their travel experiences. 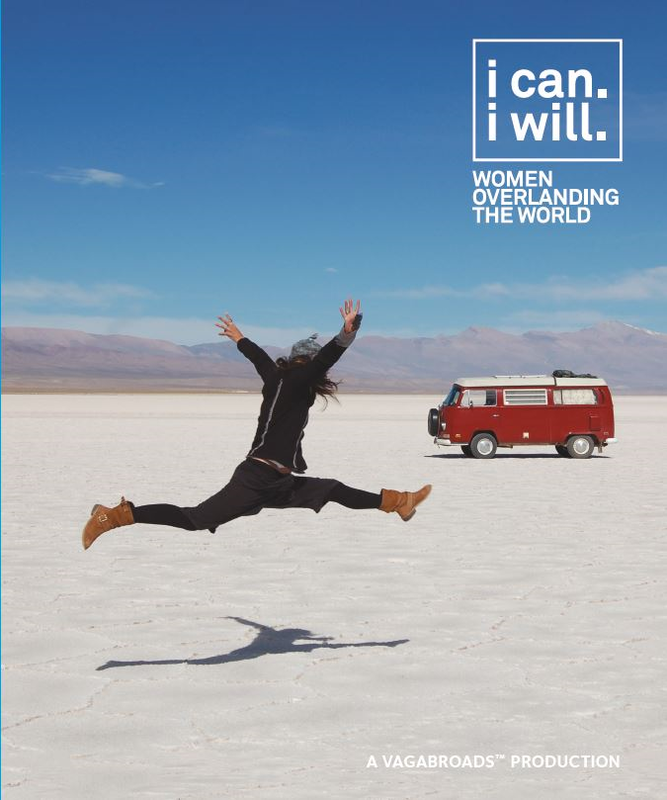 A photo-rich book, a collection of stories and life-lessons from women traveling the world in their cars, trucks, vans, on motorcycles and bicycles. This book will not just inspire you through the adventures of these unconventional heroes but it is also an artifact, a collection of photos taken in places that most people don't get an opportunity to see and stories of women doing things most people will never do. Chris Scott and his band of globetrotting contributors and specialists have put together the definitive manual for planning and undertaking a vehicle-dependent overlanding adventure across the wilds of Africa, Asia and Latin America. The Overlanders’ Handbook is written in the same entertaining yet clear jargon-free English for which Chris’s other books are known – it doesn’t assume you know your plug gap from a radiator cap. Planning – When to go; typical costs; documentation; sponsorship; early overland journeys. A2A – Travel The Planet Overland "Travel The Planet Overland is what all guide books should strive to be. Each page is packed with valuable information, but presented in a way that keeps readers interested and entertained cover to cover. The Bell’s writing is witty, easy to understand, and full of anecdotes that will help you actually remember their advice in the field. To put it simply, where most guide books read like an overly verbose professor, TTPO is like having a beer with an experienced overlander around the fire; helpful, to the point, and entertaining as all hell. –Chris Cordes, Managing Editor, Expedition Portal"
The purpose of this book is to inspire others to explore this magnificent rock we all call home and the core message is simply that anyone sufficiently inspired can travel the planet overland. We take the readers hand and walk them through the long term world travelers reality, introducing the different types of overland travelers and the vehicles they prefer based on the fluidity of their cash flow. We then guide readers through the financial and emotional preparations for overland travel and provide the tools for overland travel success! A2A – We Will Be Free: Overlanding In Africa and Around South America has been making us laugh every night while providing us with insightful info and jolts of inspiration. We love this book and the crude honest way in which Graeme Bell wrote it. Alec Forman – Strangers Like Angels: With a Devil or Two to Boot chronicles the journeys of Alec and Jan Forman to far and distant lands as they embrace their pioneering spirit. Following adventures in Canada, Antarctica and the Sultanate of Oman they set off on the original gap year in the seventies. Traveling in their Land Rover, they use only a map and compass to navigate through the Sahara Desert and tropical rainforests in Africa, back to Europe and out to Asia via the Hindu Kush, and on to the Himalayas. They grapple with the realities of poverty and yet experience surprising hospitality and welcome from unlikely sources. In the confined space of their vehicle, Alec and Jan learn what it takes to support and sustain themselves and their relationship on an exciting and often harrowing journey. Exchange of news through airmail letters to and from England keeps them in touch with family matters. Beautiful photographs and illustrations with maps complement the text, taking the reader along on the journey with Alec and Jan. A light, entertaining read of a true story of adventures, travel and divine encounter, blended with winsome tales to delight the heart, Strangers Like Angels will appeal to fans of memoirs and travel books. Life Remotely – Don't Go There. It's Not Safe. You'll Die. 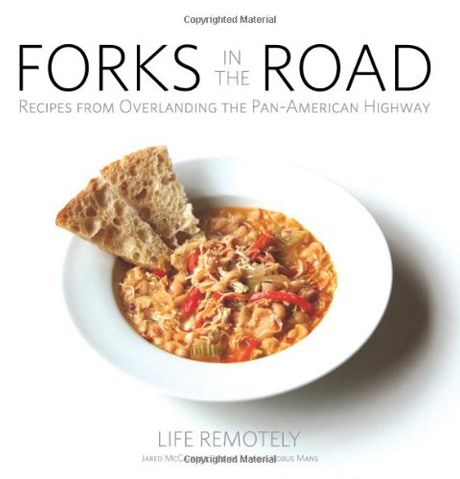 has become a must read for overlanders planning to drive the PanAmerican highway. This book is packed with tons of helpful tips and guidance. These awesome guys have made the ebook version available to everyone for free. Your complete guide for overlanding in Mexico and Central America. This book provides detailed and up-to-date information by country. It also includes 11 chapters of information for planning and preparing your trip and 9 chapters on what to expect while driving through Mexico and Central America. Completed by the authors of LifeRemotely.com this is the most comprehensive guide for driving the Pan American yet! Life Remotely – Forks in the Road. Rumor has it that those overlanders lucky enough to have had the opportunity to try Jared's, Kobus' and Jessica's cooking never wanted to leave their side. Life Remotely created a beautifully designed cookbook with a lots of those memorable recipes that knocked so many overlanders' socks off. Make sure to check it out. We've got ours! Every recipe in this book was discovered, adapted, cooked, written, revised and meticulously photographed somewhere between Tijuana, Mexico and Ushuaia, Argentina. The first recipes were written mere miles from The Death Road in Bolivia. In the following months they were photographed on the coast of Chile, edited on a cruise ship in Antarctica, formatted in a Uruguayan hotel, and finally submitted for publishing on a beach in Brazil. While this book is written with overlanders in mind, home chefs will also find these recipes a worthy addition to their repertoire, especially avid campers and outdoor cooks. Drive Nacho Drive – A Journey from the American Dream to the End of the World is rapidly becoming a very popular book among overlanders and the Van Family community. We had a little taste of Brad and Sheena's great story-telling at one of their photos slideshow presentations in Seattle. "Whether negotiating cliff-hanging roads in rebel territory, getting caught illegally smuggling a transmission in a suitcase over international lines, mounting a stealth mission to steal Nacho back from a deranged Colombian auto dismantler, or clinging to the side of a vegetable truck while descending a 16,000 foot Andean pass, there seems to be no limit to the predicaments that these two can get themselves into. With Drive Nacho Drive, the Van Ordens deliver a thoughtful, hilarious, and mouthwatering depiction of adventure and misadventure on the Pan-American highway—one that will leave you simultaneously shaking your head and holding your sides, while asking yourself, isn't there more to life than this?" Whether dodging rickshaws on crater-filled roads, defying Maoist rebels on cliff-hanging Himalayan tracks, getting hopelessly stuck in the desert on the Pakistani border, or becoming the subjects of an international missing persons case in the remote mountains of Laos, there is never a dull moment in 927 Days of Summer. Come along as a diverse cast of characters guides our determined travelers through a world of unfolding landscapes and cultures on the road trip to end all road trips, and then ask yourself: can you really just go home, unpack, and eat a sandwich? Pablo Rey and Anna Callau – Around the World in 10 Years: The Book of Independence [by Pablo Rey] "is a journey through some of the world’s worst backcountry roads with a 4×4 truck transformed into a house on wheels. There is no bathroom, no shower, no sponsors, no hotels, no phone and no Auto Club. “The road will provide” is a statement of optimistic intent. Well, optimistic optimism. And is the story of a dream, of how one day two normal people decided to give up that double life that makes us do on the weekends what we would like to do Monday through Friday. "First we thought we could go around the world in four years. Then we were convinced that we could do it in seven. When we got to the sixth year of travel, we felt that 10 was a good round number. In June 2010 we celebrated 10 years living on the road, and there’s still half the planet left to explore..."
Viaje Rico – La Magia Sí Existe Este libro “digital” relata un viaje apasionante por Latinoamérica de cuatro años y catorce países, en una moto 125 cc. Patricio y María, son una pareja joven de Argentina y Alemania, que casi por casualidad se involucraron en un recorrido de 40 mil kilómetros en busca de respuestas a esas viejas preguntas existenciales; ¿Cuál es mi pasión en la vida? ¿Cuál es el sentido de todo esto? Y ¿Dónde me gustaría estar en este momento? Sin ahorros e ignorando los riesgos del camino decidieron empezar esta travesía. El viaje, como si tuviera vida propia, se encargó de moldear un sinfín de experiencias que además de respuestas les dejó un valioso aprendizaje; vos sos el creador de tu propia realidad y podes darle a tu vida la forma que quieras; libre, sano, feliz, con amor, abundante, etcétera. todo es posible y desde tu interior podes llenar el presente con todo eso que necesitas para sentirte pleno. 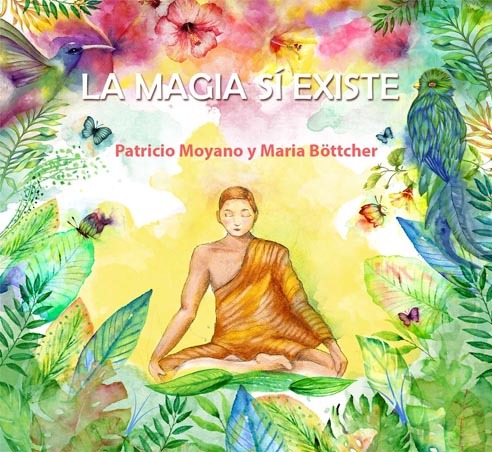 Vas a descubrir la historia de un viaje, de esperanza, felicidad y un amor intercultural, pero también el poder de la espiritualidad, la fuerza de la meditación y el beneficio de tener una actitud positiva frente a la vida. Revised to reflect the latest in survival knowledge and technology, and covering new topics such as urban survival and terrorism, the multimillion-copy worldwide bestseller SAS Survival Handbook by John "Lofty" Wiseman is the definitive resource for all campers, hikers, and outdoor adventurers. From basic campcraft and navigation to fear management and strategies for coping with any type of disaster.